We design, plan, and produce large events that create lifelong memories. Planning a large event can be overwhelming. We’ll do the heavy lifting to take off the stress. You’ll create a memory for your guests that will last a lifetime. Weddings, Bar Mitzvahs, Corporate Meetings, Break-Out Sessions, Charitable Events . . . When you set out to stage a large event, assembling all the moving parts and keeping them in sync can be overwhelming. We’ve been in your shoes, and we can eliminate the stress. 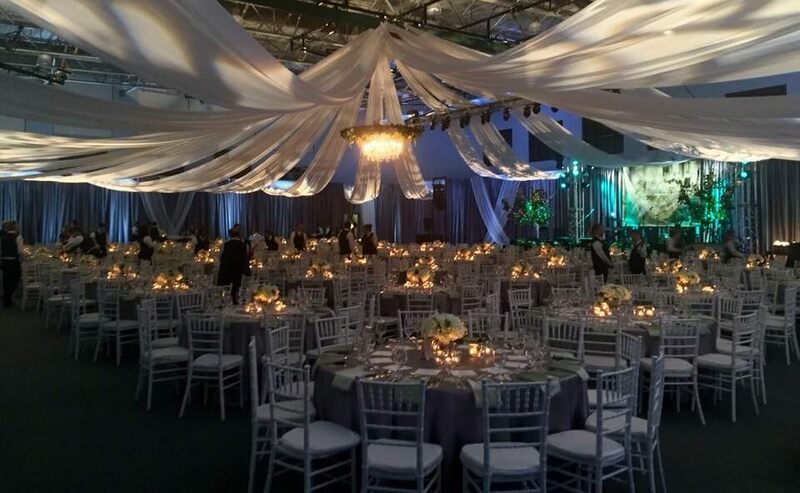 For 25 years, we’ve been planning and executing large events for clients across the mid-South. We’ll do the heavy lifting and take the stress off of you, so you can create a memory for your guests that will last a lifetime. With all the digital media options and visual capabilities available today for the stage, Miss Gay USofA needed a team that would not only provide what our contestants and audiences expected from our event visually, but they would do so with diligent efficiency and great energy. Beyond the excellent technical support they offer, members of the Ron Sanford Production team are quick to jump in with whatever needs our event may demand. From anticipating sound quality and audio/visual feeds to grabbing a push broom to clear the stage, their production services have contributed to the continued success of our event.